View a helpful organization of key provisions, full statute (Title 17 of the U.S. Code), and rules from the Code of Federal Regulations (Title 37). 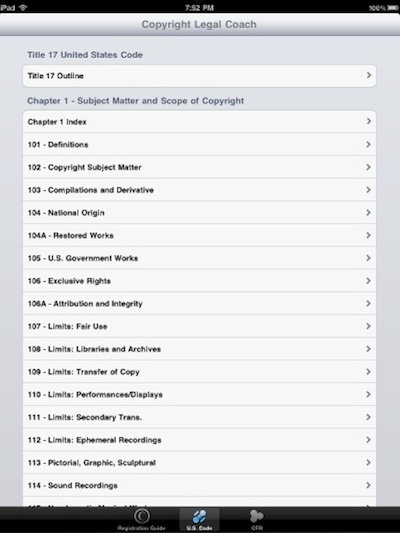 A guide is organized into categories for an overview, different types of registration, what cannot be copyrighted, application guidelines, submission, fair use, fees, infringement, and more. 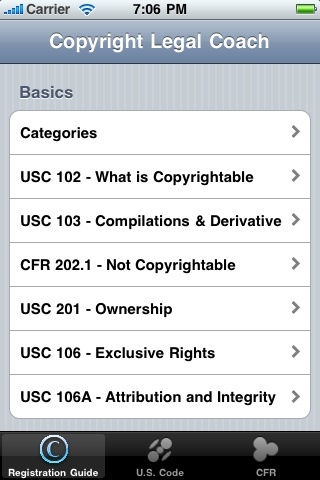 Also included are video tutorials and actual examples of copyrighted material that have been registered with the U.S. 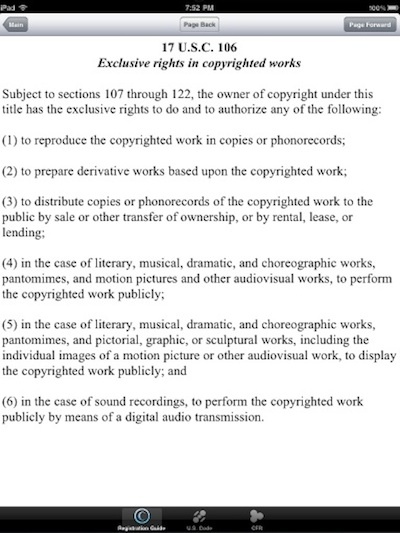 Copyright Office. The C.F.R. 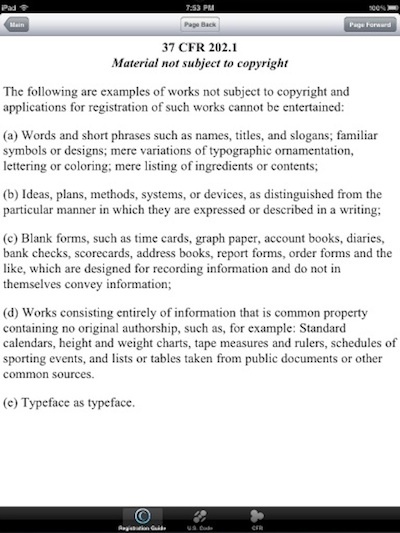 are detailed rules for the statutes. 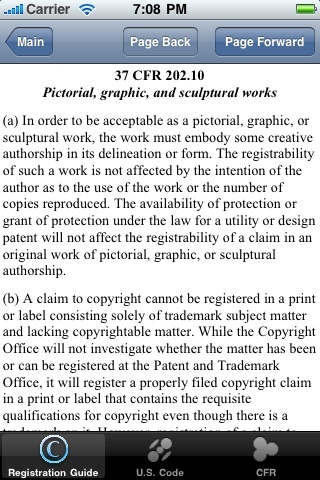 For example, 17 USC 408 specifies that the applicant shall deposit "in the case of an unpublished work, one complete copy". 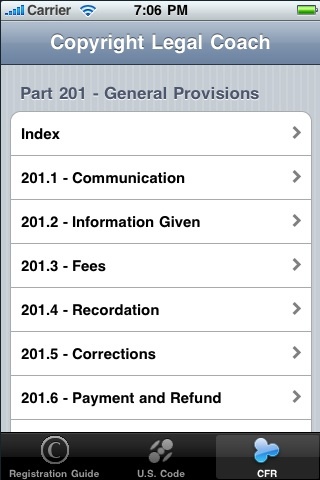 37 CFR 202.20 provides specific requirements. If the original material is a three-dimensional hologram (sample scenario), the applicant must submit "precise instructions for displaying the image fixed in the hologram" and "photographs or other identifying material ... clearly showing the displayed image". 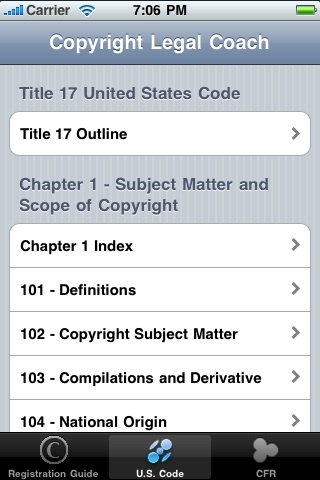 Provisions from Title 18 of the U.S. Code are also included that relate to criminal infringement of copyrighted material. 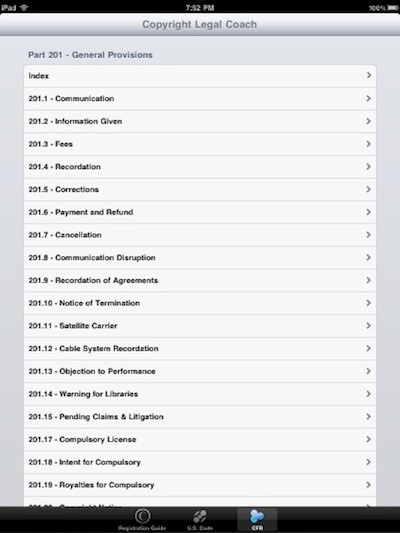 The developer, Michael E. Byczek, is licensed to practice law in Illinois and an Apple certified system administrator. His primary interest is intellectual property (copyrights, patents, and trademarks). Regular updates: The U.S.C. 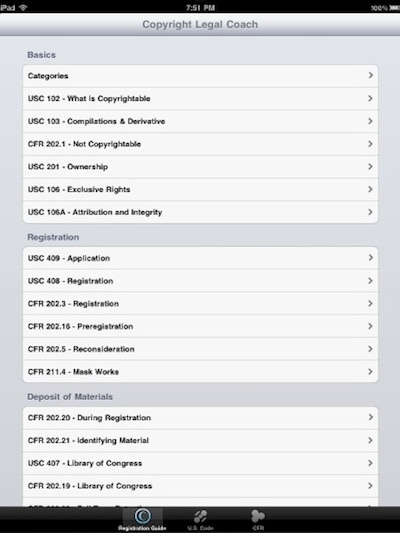 based upon The Office of the Law Revision Counsel (LRC) classification tables; CFR provisions (GPO e-CFR); and fees.